Gucee Webcam HD92. This is a simple piece of kit which is more than capable of doing all you need to do as an online English teacher. It won’t set you back a lot of money, works every time and is easy to setup. The company says: “Do you want to get the most out of your webcam? Check out GUCEE HD92 1080P Webcam – it’s the perfect choice for enhancing your chatting and video conference experience. It features an ultra wide angle lens – up to 120 degrees – allowing you to see more than you thought possible. Talk freely with the built-in stereo microphone with crystal clear voice quality. Plus, the glass lens provides vastly improved image quality. A USB extension cable is also included to maximise webcam placement and flexibility.” You can buy it here. Microsoft LifeChat LX-3000 Headset Microphone. 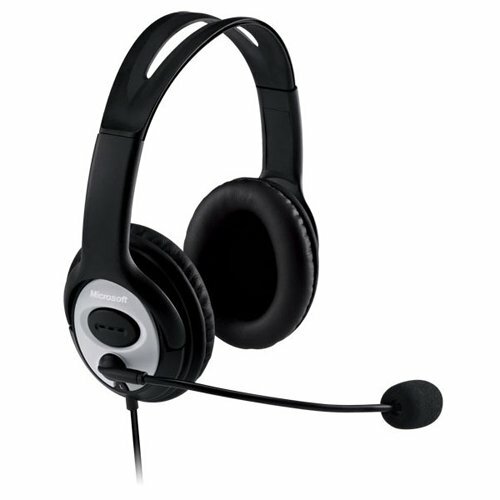 Using a headset with a microphone is a normal requirement for English companies. This helps you hear clearly. The microphone also picks up your voice easily and allows you to speak without straining your vocal chords. It’s reasonably cheap and works every time. I find it to be reasonably comfortable even after a six hour teaching stint. You can pick it up here. My other equipment is a good laptop and a dedicated network cable. People can, and do, teach using WiFi. I find my connection is much stronger when I plug into the router. All of my equipment together cost me less than £100 when I bought it. As a job or a side job, this is an easy, low-cost option to get you going. Send me a message if you’re ready to get paid for talking! Or, you can carry on to the blog part of this website. You can read – and see some of what I do on a daily basis.